We often get so consumed with the hustle and bustle of our daily lives that we tend to forget that there exists both a natural and spiritual world. We are quick to avoid the dangers we see in the natural, but fail to pay attention to the dangers or pitfalls the enemy sets up against us in the spiritual realm. Jesus told us to constantly be on the look out, in case we fall into the trap of becoming offended, or allowing fear filled thoughts to get a foot hold in our minds. Just the same, we tend to get excited when we see or receive good things in the natural, but are slow to recognise the abundant blessing we have received in the spirit. Many Christians adopt Thomas' viewpoint of "seeing is believing", but Jesus told us we are blessed because we believe without seeing. This doesn't mean faith is blind. 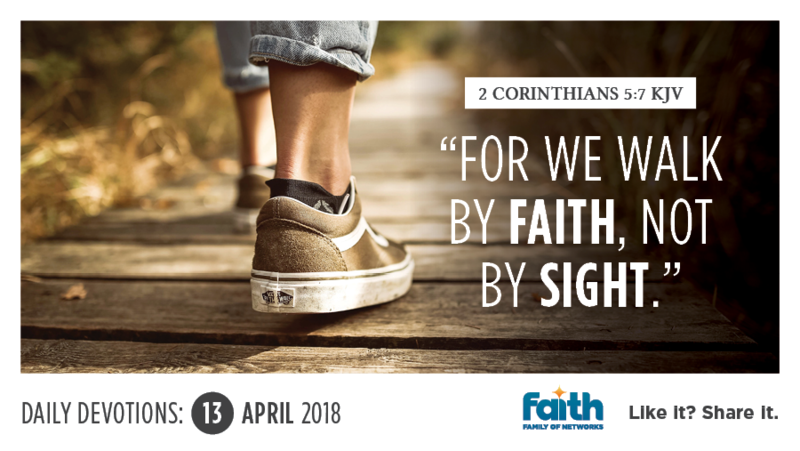 It just means we look through the eyes of faith. We know exactly what the Word of God says and we choose to believe it, regardless of what our natural circumstances look like. In 2 Kings 6, the Prophet Elisha's servant thought they were about to meet their end when he saw an army of men come against them. Elisha prayed God would open his servant's spiritual eyes, and lo and behold, he saw that surrounding the army of men was the army of the Lord, "full of horses and chariots of fire"! No matter how troubling the things around us appear to be, when we look through eyes of faith and believe, the word of God will go to work and produce exactly what it has promised. That's because with God, nothing is impossible and no word from Him is without power or impossible of being fulfilled.